After a year in office, Superintendent of Public Instruction Sherri Ybarra said she’s found her calling. During an interview with Idaho Education News on Wednesday morning, Ybarra made the surprise announcement that she will run for reelection in 2018. Ybarra broke the news during a lengthy and ranging interview on education policy and her life in public office. Ybarra was elected to her first four-year term in 2014 after winning a four-way Republican primary election and defeating Democrat Jana Jones by a margin of 50.6 percent of the vote to 49.4 percent. Ybarra’s current term runs through 2018. 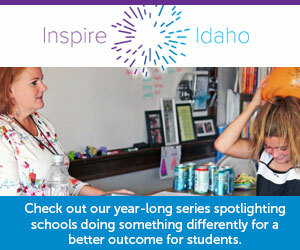 Ybarra said she is inspired every day by the opportunity to help Idaho students. Ybarra lives in Mountain Home, where she worked as a teacher and federal programs director before the election. Although she continues to commute to work, Ybarra has also held discussions with her family about moving to Boise after her son, a freshman attending public schools, graduates from high school. In 2016, Idahoans will head to the polls to help decide the presidential election and to vote for legislative races in every district. But none of Idaho’s statewide offices — such a governor, attorney general or superintendent of public instruction — are up for election until 2018. Check back with Idaho Education News for a longer interview with Ybarra about the federal Every Student Succeeds Act signed into law last week.